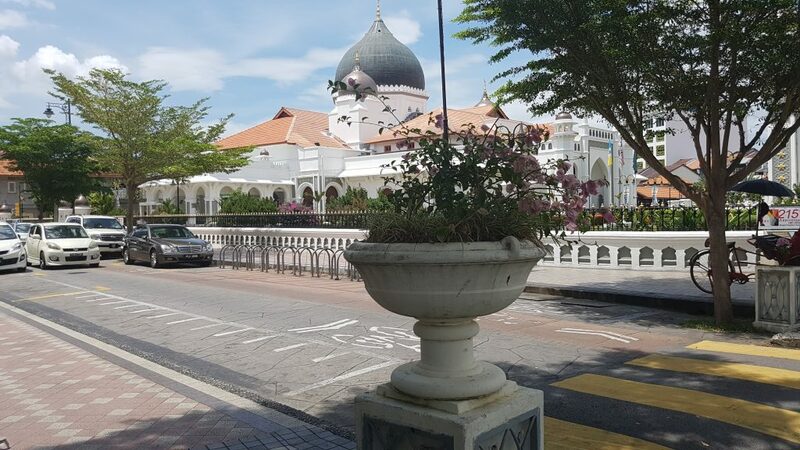 On my third day at Penang, my friend and I decided to go on a street art hunting adventure. Penang is known for its street art which I will tell you more about in the next post. 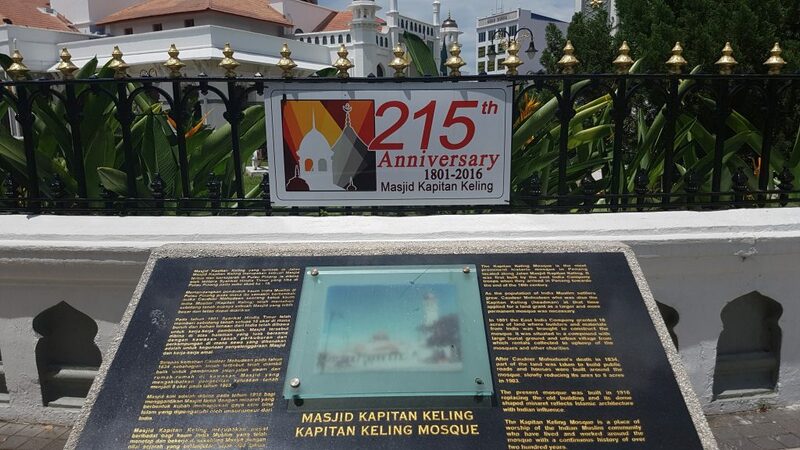 The first stop of the day was Masjid Kapitan Keling. It was sitting pretty and majestic in a corner of Georgetown like a palace! One thing that caught my eye was the name of the street, Buckingham. 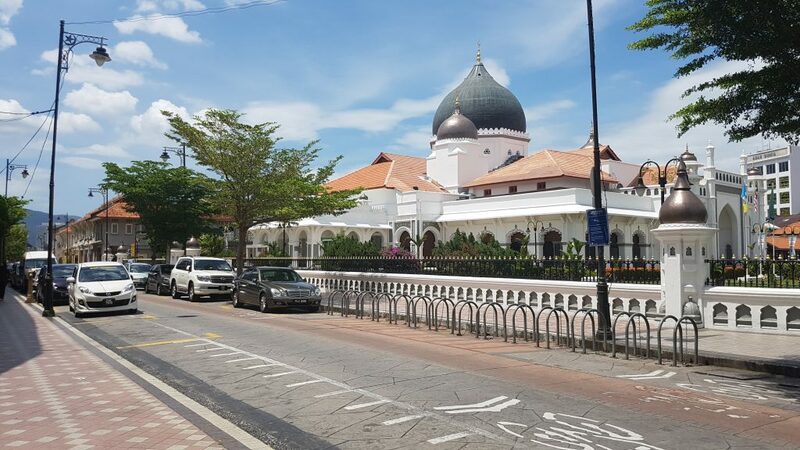 The mosque is said to be 216 years old, built in the 19th century by Indian Muslim traders in Georgetown and is now part of the World Heritage Site of Penang. Tourists are allowed entry if they wish to see what it looks like on the inside but we skipped that bit. True to my blogger roots, I was sooo excited by how pinteresty and photogenic the mosque looked. 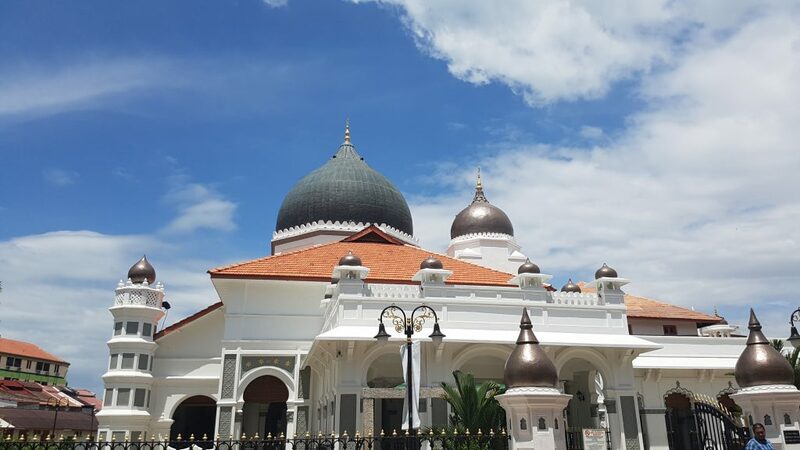 It was a very sunny and hot day, so we decided to just take a few photos of the mosque and move on to the next location. Look forward some amazing street Art in my next post!